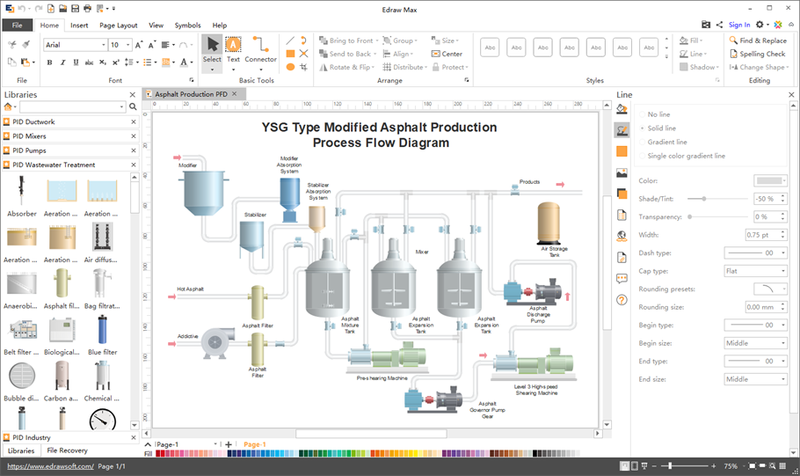 P&ID Designer is perfect not only for professional-looking process P&ID, plant P&ID, chemical P&ID, distribution P&ID, but also power P&ID, water treatment pfd... and that is just the beginning! Draw P&ID with predefined shapes by just dragging and dropping, requiring no drawing skill and experience. Even beginners can create professional PIDs in minutes. All shapes are vector format enabling high-resolution designs. Even when you zoom in the diagram to 400%, it still remains highly clear. AI Viewer Tool is a must-have asset for artists, designers, publishing professionals and all other users who are looking for a reliable tool for easy viewing of corrupted AI files and nearly instant recovery of the results of their work. Free Protecting an image maker for wiindow,Add watermark text on your images. Your photos are actually private , You do not need upload your photo to server when using the software. Postscript to PDF Converter is a utility to convert PS and EPS files to PDF files, it doesn`t depend on Windows Printer Driver technology and any other products, so Postscript to PDF Converter is faster than general solutions.